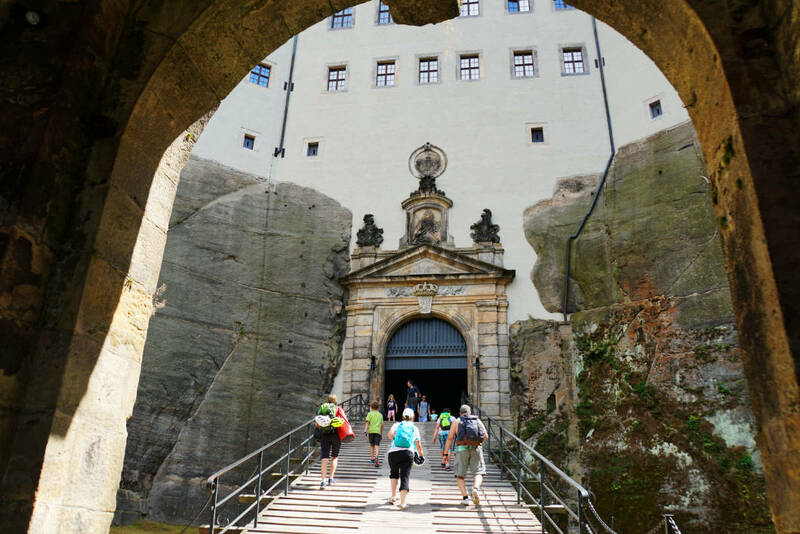 During a short trip to Saxon Switzerland, I was drawn to the fortress Königstein. My last visit was more than 10 years ago and the weather was awful – this time it was sunny and I enjoyed my visit to the fullest. I took the S-Bahn from Bad Schandau to the train station Königstein. Originally, I had planned to walk to the fortress. But a look up the hill and the fortress-express shuttle that was ready for departure made short work of that idea. So I took the bus up to the fortress. Guests have to change into a slower train at a car park, though. We hurried to the ticket office where the tickets were already waiting (Thanks a lot!) and then took the elevator up to the fortress. It was a little early and only a few visitors were waiting in the courtyard. Ideal for taking pictures! 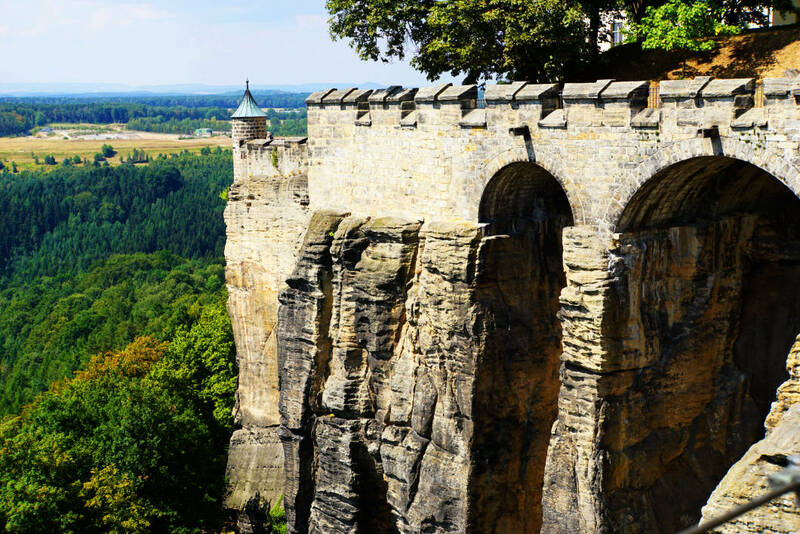 The Königstein fortress lies on a table mountain high above the town Königstein in the Elbe sandstone highlands. The oldest document about the fortress is from 1233. It is likely that a stone castle had already existed at that time. The castle chapel is the oldest building on the premises today (12th century). 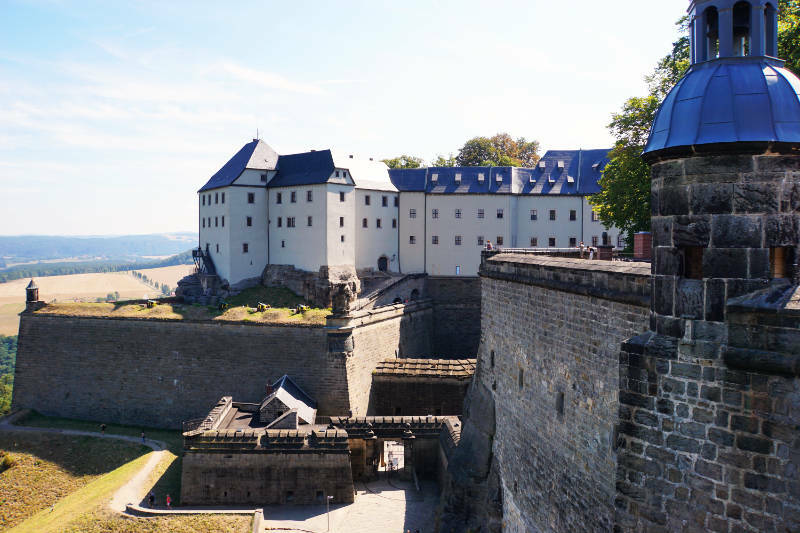 Christian I, Great Elector of Saxony, had the castle upgraded to one of the strongest fortresses in Saxony between 1589 – 1597. High walls with battlements and round observation towers were built. New buildings were also created inside the fortress. 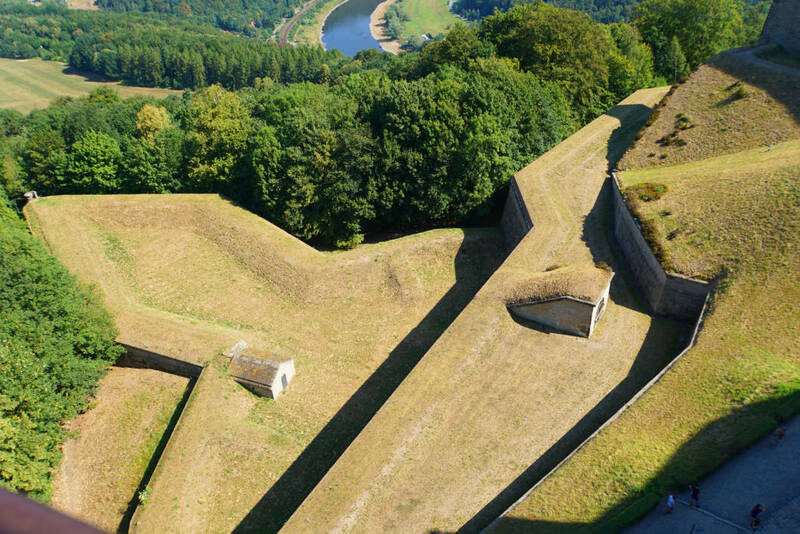 Its exposed position made the Königstein fortress a safe haven for dukes and electors during the years of war. During peace times the fortress was used as a hunting lodge and Maison de Plaisance. From time to time it was also used as a prison (1922 state prison of Saxony, later as a war prison and, during GDR times, as a juvenile prison). There is one thing that was always certain about the fortress with it’s stable and reliable architecture and construction. It was never taken by the enemy! The fortress has been a museum since 1955. Under great difficulties, the GDR Cultural Ministery had the area developed piece by piece. 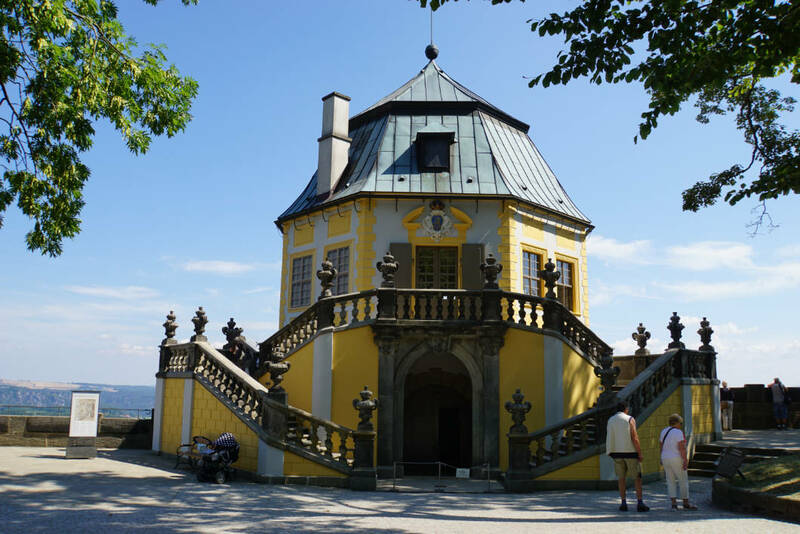 Since 1991 the fortress is in the possession of the Free State of Saxony and is sectionally refurbished. 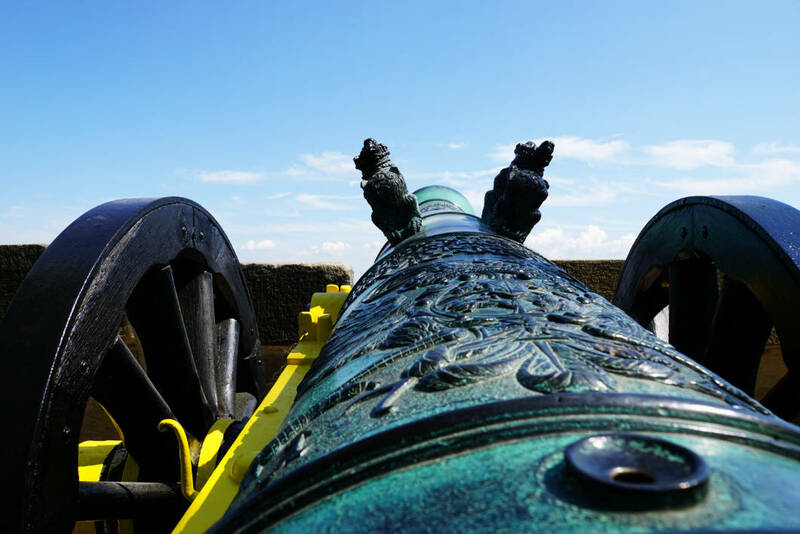 The Fortress is an open-air museum about military history. Special and permanent exhibitions are installed in the many buildings and attract about half a million visitors each year. I start my tour on top of the fortress wall. Last time I was here I couldn't even see the Elbe because of the bad weather. Luckily this time that was different. Under a clear sky, we had a grandiose view of the river. 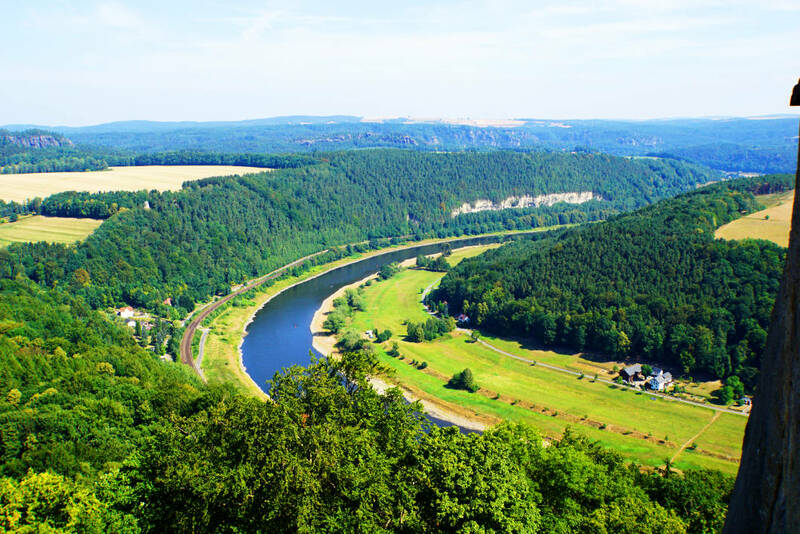 Beneath the fortress, the Elbe runs towards Dresden. We see some paddle boats that hardly have to paddle at all because of the strong current. All they have to do is keep the boat in a straight line. Bigger ships are not travelling on the Elbe. There was little rain as of late and the Elbe is not fit for bigger vessels. For me, it is almost a special event to see the river free from cargo or tourist ships, everything is so quiet. I am awing and ooing as I continue my tour on the fortress wall. The valley looks different from every angle and I constantly discover something new to see. The view of the table mountain Lilienstein on the other side of the river is particularly pretty. 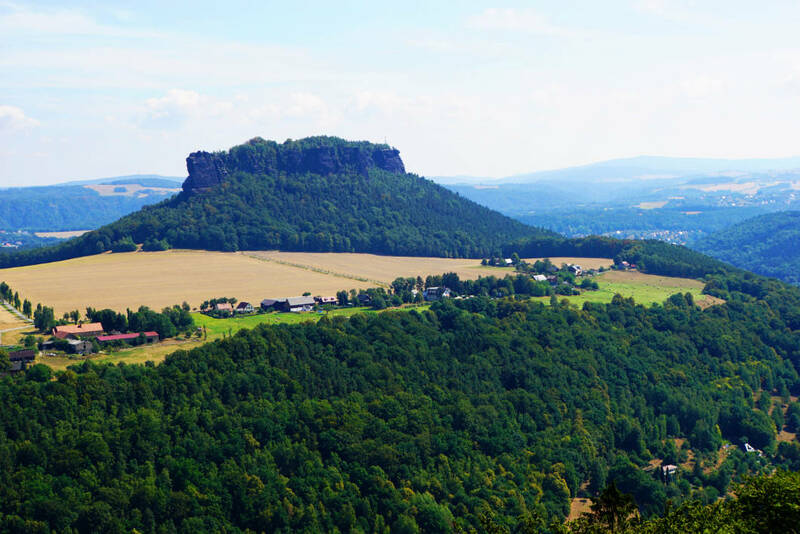 But it doesn’t end with the view of the valley and the Elbe Sandstone Highlands. Also, the wall itself has a lot of details to discover. From a particular spot on the wall, visitors have a great view of the entrance to the fortress. 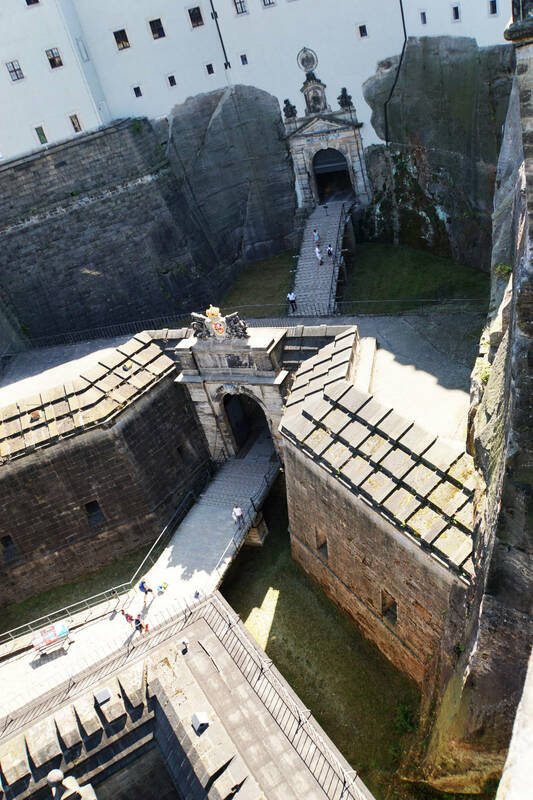 From up there, one can observe how guests cross the heavy drawbridge and shortly after disappear into a tunnel that leads through the wall and the rocks into the courtyard. From another spot, one can see how well the structure of the building is fitted into the rock face. It is fascinating to think that workers back then were not able to take advantage of technological developments and still managed to construct stable and long-lasting walls. 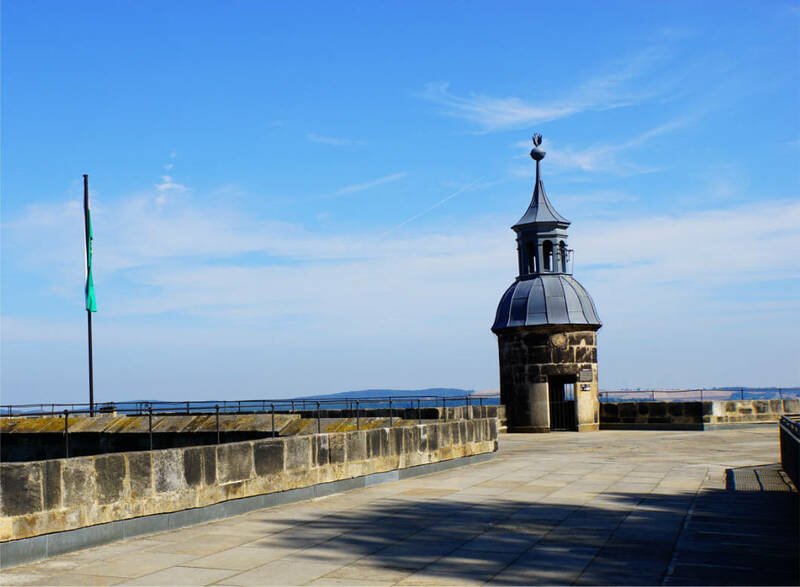 The tour on top of the wall is 2.2 km long and you should come with enough time on your hands to take in the beauty of this place and appreciate the art of the architecture. After the tour of the rampart, we make our way to the inside of the fortress. The majority of the building is used for different exhibitions. 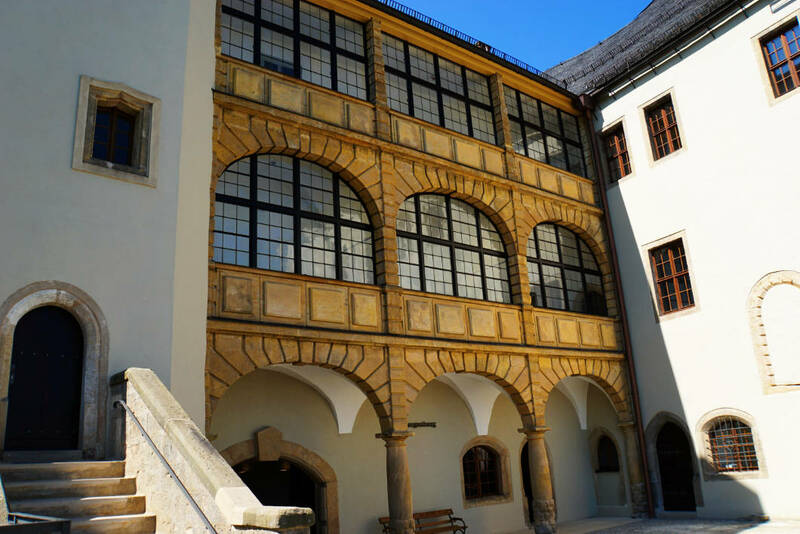 Some of them are permanent exhibitions, for example, the “In lapide regis – on the rock of the king” exhibition in the barbican that covers 800 years of living and ruling in the fortress Königstein. I also had a look at some of the exhibitions, of course, and I enjoyed them quite a bit. But to be frank, it is almost impossible to see all of them since they all provide a sheer flood of information that needs to be processed somehow. 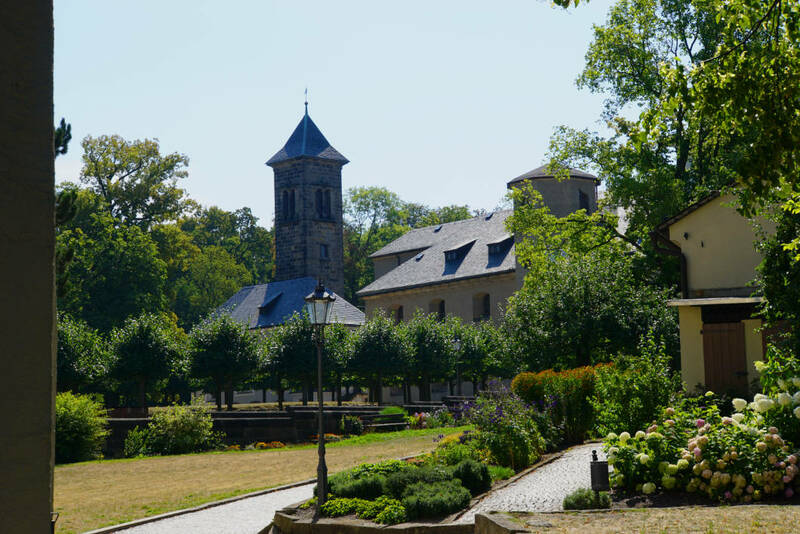 You really shouldn’t miss out on the fortress chapel and the wine cellar. 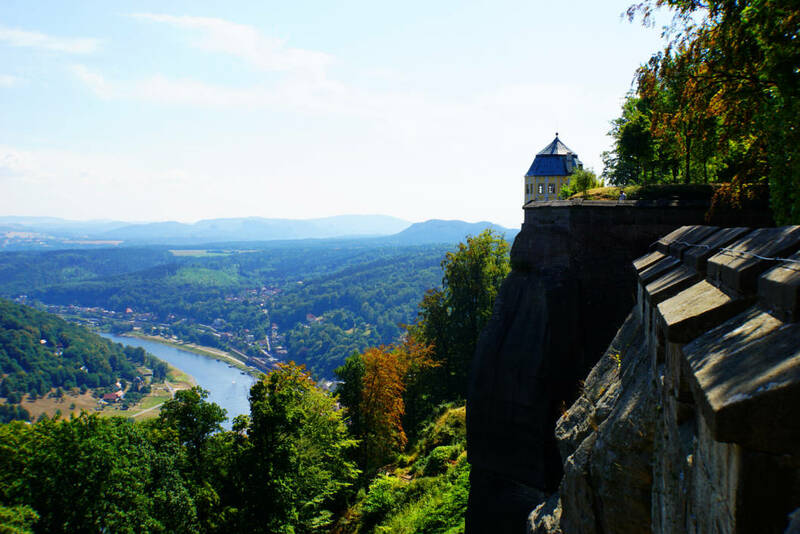 There are an elevator and a castle train for the way back down from the fortress to Königstein. I chose to walk. Firstly, I walked through the imposing gate and across a drawbridge. A little further down, walkers have the option to continue on one of the many hiking trails that lead through the beautiful surroundings of the castle. I picked a trail that ended in the town of Königstein. A lovely path from which you can still see the fortress upon the rock. 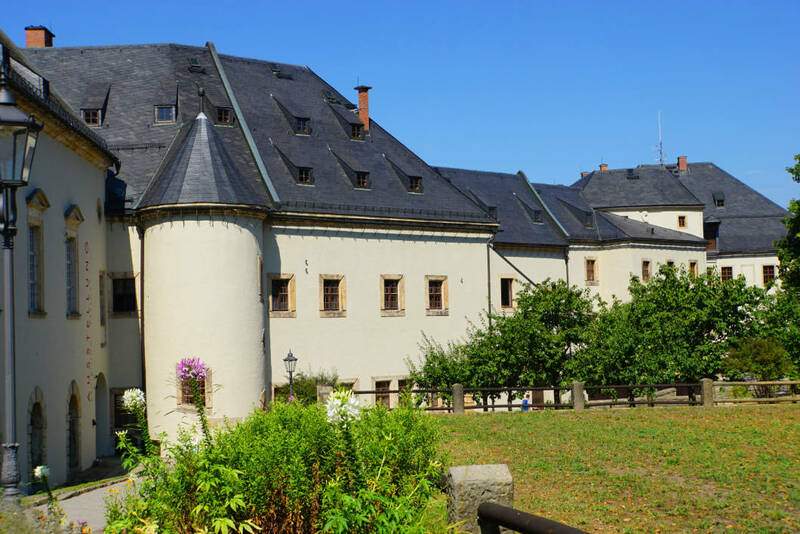 We got to visit the fortress Königstein for free as part of a cooperation. Thanks a lot!